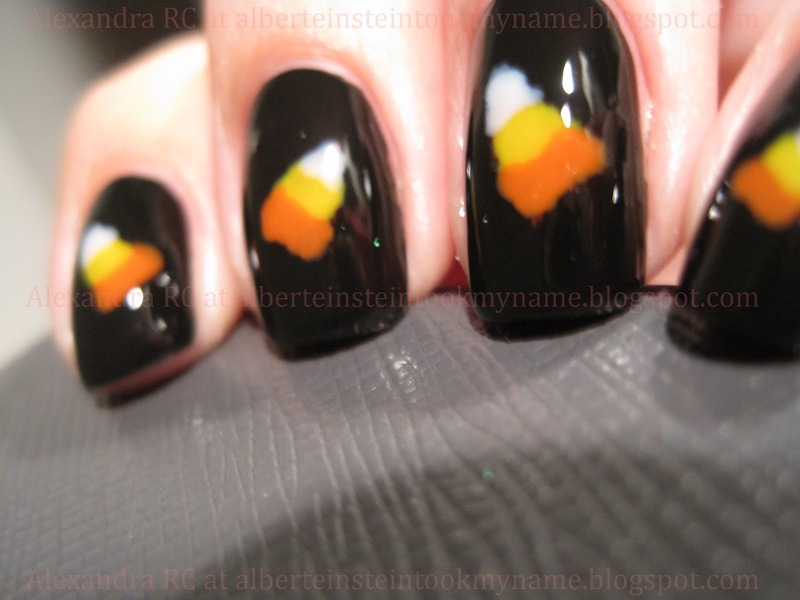 This is rather easy, the harderst part is to make the triangle shape with the brush and acetone, so that the colors pop. I hope you enjoy my blog just as I like yours! 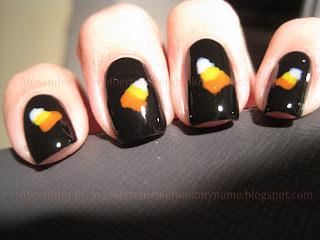 Really cute, but I have to ask what candy corn is. 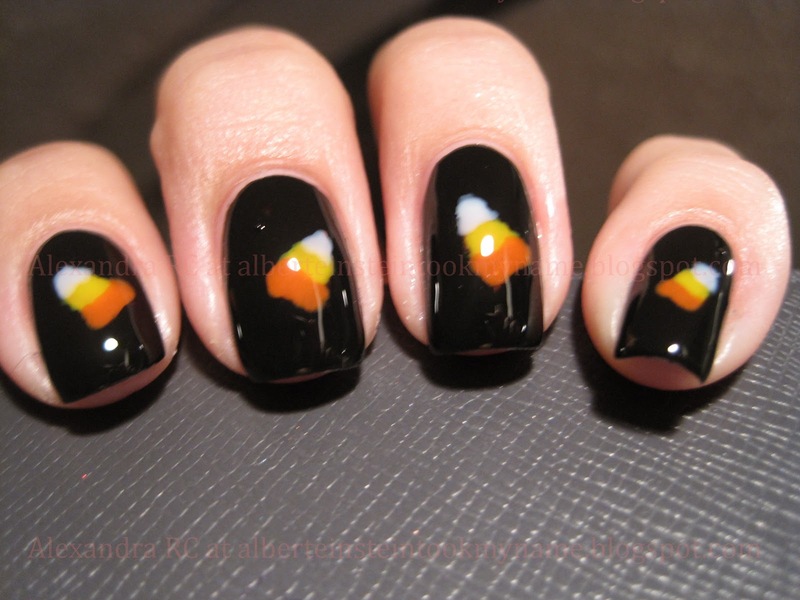 Are they hard lollies, or chewie or like jelly beans. 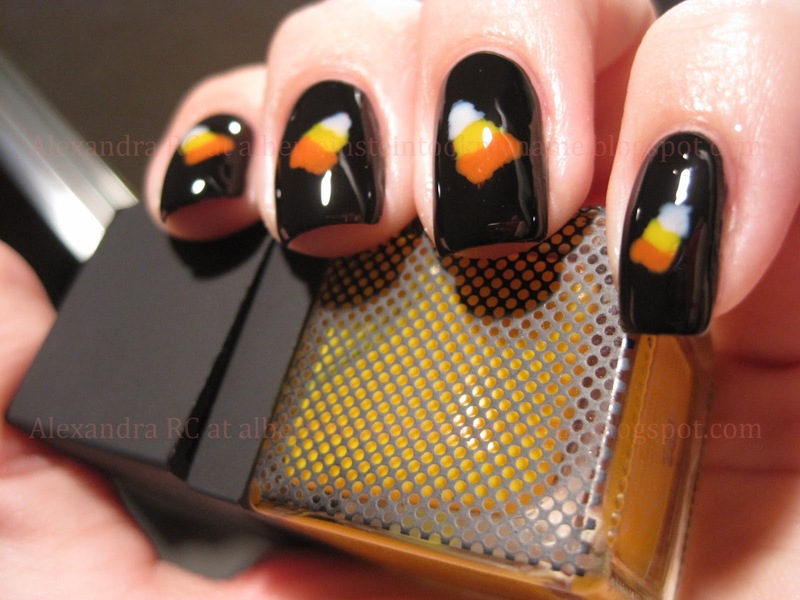 I keep seeing Candy Corn mani's and I really want to know.